2. Wash the mint leaves, keep aside. salt and water in a blender. Blend it into smooth paste. 5. Season it with mustard and curry leaves. 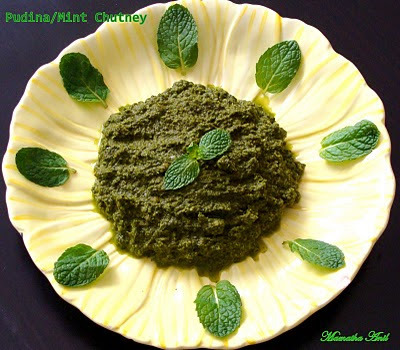 Note: Pudina Chutney goes well with dosa, idli, and rotti .